Recovery Camp, located in Southwestern Decatur County, Georgia is an ideal property for those looking for a tract that will provide hunting, fishing and entertainment year-round, for years to come. Recovery Camp, unlike many other tracts, has a wide range of habitat types from natural upland hardwood/pine ridges, pine plantation and natural hardwood/pine mid-slopes that transition to soft hardwood creek lined ravines. From the highest elevation on the property ( 290' above sea level) to the lowest (128' above sea level) Recovery Camp is an outdoorsman's paradise. 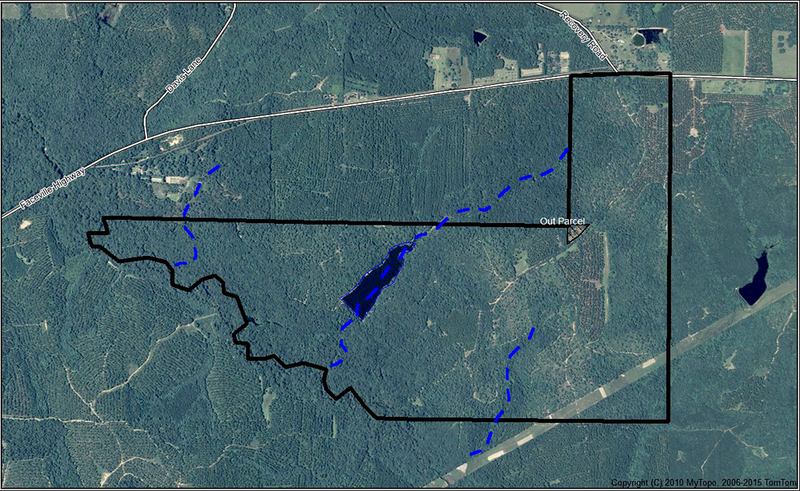 The heart of the tract is a 13+- acre pond located centrally within the property. The pond and its surrounding area acts as a focal point for many of the activities available at Recovery Camp such as fishing, duck hunting and deer hunting. One other significant feature of the property is Mosquito Creek. Mosquito Creek is one of the four major creeks in Decatur County and runs year-round to provide a reliable source of water for wildlife. Recovery Camp has nearly 1.5 miles of frontage on Mosquito Creek that averages 15-20 feet across in most places. Access to Recovery Camp is from 1600+ feet of frontage on State Highway 97, just south of Faceville, Georgia.